Beam torch wrenches are preferred to the newer “clicker” types because they’re easier to use, (usually) cheaper and more accurate. Provided you take care of them they’ll also last a lifetime. On this page, we’ll examine the different kinds such as the traditional style, the deflector beam and split beam wrenches. We’ve also picked out the 5 Best Beam Wrenches of 2019. Scroll down to find their individual reviews! Performance Tool M195 0-80 in-lb. and 0-7 N-m Beam Style Torque Wrench, 1/4"
What is a Beam Torque Wrench? A beam torque wrench is the simplest kind of torque wrench. It uses circular force for the tightening or removing of a nut or a bolt. 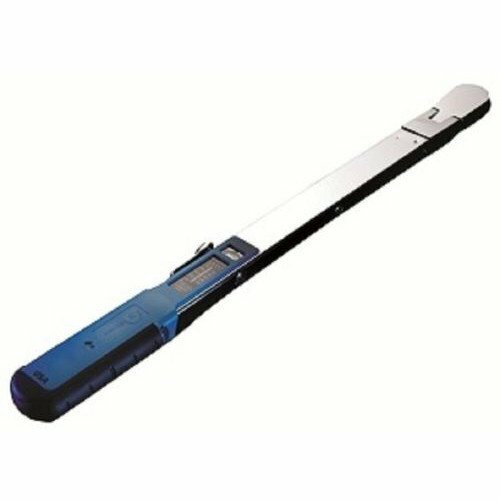 A beam torque wrench consists of three parts: the main beam, a pointer, and a scale. It is an essential tool for small automotive engine repairs. The torque is usually measured with the help of scale attached with the beam torque wrench. This tool helps to ensure that engine part, such as cylinder head blocks, are tightened with the ideal tension. To help an engine last longer, it is important that the nuts and bolts are tightened precisely. 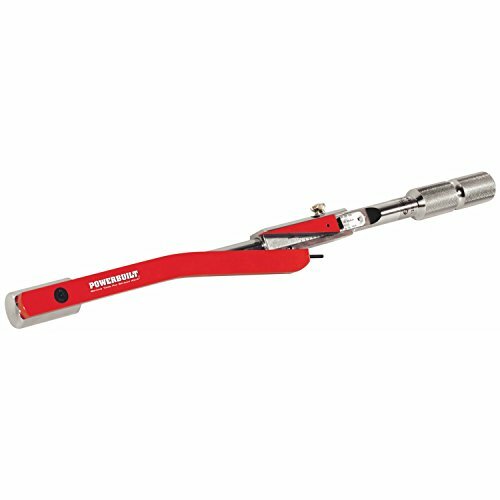 Split beam torque wrenches are rapidly increasing in popularity. The major drawback with the “traditional” beam wrench is you need to actually see the scale to use them. A split beam makes the same sound as a clicker so you don’t need a clear line-of-sight. In common with deflector beams, you also don’t need to reset a split beam back to it’s lowest setting. With fewer moving parts they’re also easier to maintain, too. The best split beam wrenches get around a 2% accurate rating, compared to 4% with a clicker. The beam torque wrench is cheap, easy use and extremely accurate. It’s also a great wrench for bench-top work. The problem many find with traditional beam wrenches is you have to always read the scale. For the most accuracy, your eye should also line up directly with the gauge. When you are working on something you can’t actually see (which often happens with car repairs) a click-type wrench is better. Here’s a summary of the advantages and disadvantages. It is a simple, reliable and proven design to measure the torque precisely. It can measure torque accurately in both directions. It can easily be used to measure torque from zero to maximum torque. The accuracy of the beam torque wrench is as high as 2 percent. Sometimes requires maintenance for accurate measuring. The Scale needs to be constantly watched to ensure accuracy. How to Use a Beam Torque Wrench? 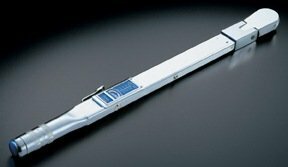 Using a beam torque wrench is much simpler than other types of torque wrench. It works essentially like a fish scale. As you tighten or loosen the fastener, a beam in the wrench’s head shines back at the gauge. Following the steps below can help you understand the right method. The first thing to do is to check if the scale shows zero or not. Next, consult the tool owner’s manual to determine the precise torque require for the bolt, and input the measurement into the wrench scale. It is important to consult the manual as it will help you to determine how much torque is appropriate. Applying too much torque may result in the damage of the bolt. Now you need to attach the socket to the bolt for tightening or loosening. If you are tightening the bolt, turn the wrench handle in a clockwise direction. For loosening the bolt, turn the wrench handle in the counter-clockwise direction. Once the required amount of torque is applied then you must stop immediately. Provided it’s well cared for, a reasonable quality beam wrench should be accurate for life. They have an inbuilt accuracy and being far simpler to operate than click-style wrenches, there’s less to go wrong. A beam torque wrench only needs replacing if you have severely overloaded it and bent the shaft or bent the beam. Something you may encounter is if the gauge doesn’t return to zero after use. If this happens, bend the indicator and line it up with the pointer at the end. Center it with the “0” on the indication scale. Here are our reviews for five of the best beam wrenches of 2018. Performance Tool has a great range of high-quality, accurate tools which often last longer than the machine being maintained. The Performance Tool M195 comes in two different sizes. There’s either the 1/4 inch 0 – 80 in/lb (0 – 7 NM) or the larger 1/2 inch 0 – 150ft / lb. The 1/4″ is used a lot on screw sizes and pinions. The 1/2 is great for wheel bolts so accurate some people even use them to torque bolts on rifles – where calibration is everything. This is a basic beam torque wrench which is both easy to use and read. It feels good in the hand the the 1/4″ in particular is good for when you’re working on lighter torque specs. 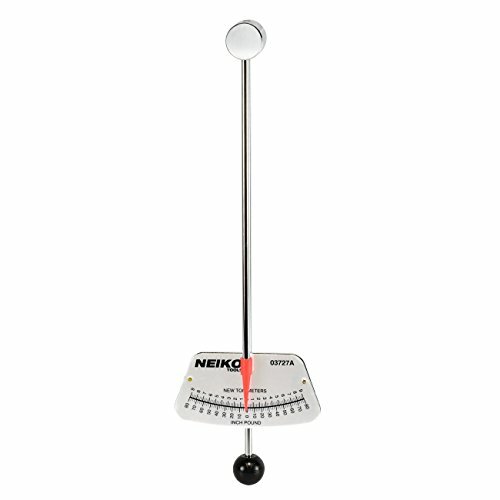 As you might be able to see from the pictures, the scale gives readings in Inch / lbs and Newton Meters. Performance Tool does include a handy conversion sheet with their wrenches though. The drawbacks are it doesn’t come with a case, and some might not like that it originates in Taiwan. However, don’t confuse Taiwan’s level of quality with China as it is pretty high and many of the world’s top knife makers (such as Sypderco and Benchmade) have their products made there. Overall, this is an easy-to-use, accurate and durable beam wrench. For the low price, this is a great buy. The Neiko 1/4 inch is a great choice if you need a smaller wrench to work in inch/ lbs at a great price. This is a small “Flex Style” beam wrench which is perfect for rear-end pinions and small-torque bolts, and small-torque value fasteners. It design and appearance it’s much the same as the Precision Tool model, with both standard and metric measurements. The scale increases in readings of 0.2 inch / lbs. This makes it perfect for when a 1/2″ is too big and for small engine repairs such as transmission valves and carburetors. Of course, you will need a slightly bigger size when it comes to cylinder heads. This product doesn’t come with a ratcheting adapter – but at this low price point I would be a little wary if it did! You just get the wrench which can be used with standard sockets. There isn’t a bag or pouch which would have been nice, but again not essential at this price. For a cheap beam wrench that can handle up to 80 inch / lbs, this makes a great addition to any tool box. This deflecting beam wrench from Powerbuilt is slightly different from the previous models we’ve reviewed. This is a heavy-duty wrench and it can handle from 2oft / lbs to 200ft / lbs. With this one, you also get an audio alarm when the desired torque is reached. This defeats the biggest criticizm of these tools – that you need to actually see the meter to use them. Another great feature with this Powerbuilt wrench is once it reaches target torque it begins to flywheel. This prevents you from over-torquing and also protects the material that’s holding the fastener, too. Powerbuilt have included a data calibration sheet which is really useful to gauge accuracy at different torque levels. There is a storage case also included with these model, but like many on our list it doesn’t come with a socket adapter. We really like the audible alarm that this one has as it will really benefit those working in tight spaces. And the price is very reasonable, too. This is a very well-made “hybrid” split-beam torque wrench from Torq – the same company that makes Snap-On wrenches. I say it’s a “Hybrid” because as well as having all the benefits of a beam wrench (such as not having to set it back to zero) but it also “click style” – so it makes a loud click when it reaches target torque. At 2.55 lbs it’s very light yet strong enough to handle up to 100 ft / lbs of torque. You can easily adjust the torque settings with a thumb screw, which really helps makes things quicker. This one is 17 5/8″ long and an all steel construction. You do need to know that it’s rated at 4% accuracy in a clockwise direction. It does not reverse, so if you’d probably need to spend a bit more for a digital wrench if that is what you’re after. The really great thing about this line of tools is they are all made in the USA. They also come with a dated calibration certificate and a 1-year warranty. All in all, this is a classy 3/8″ beam wrench from a brand you can trust. Try as we might, we couldn’t not include another tool from Precision Instruments! We did try to include a selection of brands and beam wrench sizes, but the fact is that these tools are really hard to source. Also, many people love this 1/2″ model so we don’t feel too bad! As well as being a beam-style, it also makes an audible “click” when target torque is reached. This and its 1/2″ size makes it ideal for working on cars and trucks. There is a ratchet head with pivots about 10 degrees either way. It’s not reversible (which disappoints some) as it was made for tightening only and not loosening! This one comes with a calibration certificate, a black plastic case and a 1-year certificate. For an American-made tool from a well-revered brand, this could be the best wrench for the money in 2019.